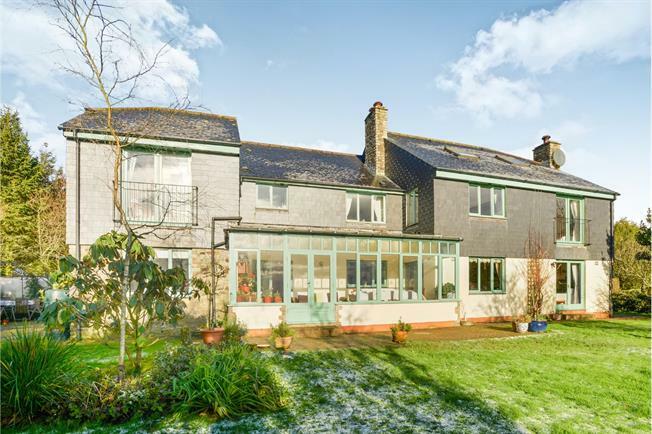 8 Bedroom Detached House For Sale in Liskeard for Asking Price £675,000. Designed and built by the current owners the property is situated in a private development with impressive countryside views. The property has eight bedrooms which has the potential to offer income when being used as a bed and breakfast or Airbnb style accommodation. Further potential for income is the top floor apartment suite and, subject to consents and permissions, there is the opportunity to make use of the land/paddock area. The internal accommodation includes a grand entrance hall with galleried landing, kitchen/diner, breakfast room, conservatory, living room, further dining room, eight bedrooms with four en suites with an additional top floor apartment suite and a bathroom. 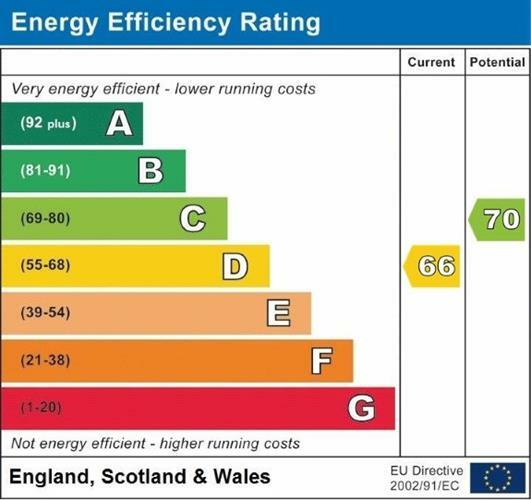 Oil fired central heating and double glazing. Spacious parking in front of the double garage. Surrounding the property are mature, well established front, courtyard and rear gardens with the additional land/paddock area. The property is one of a kind and we highly recommend viewing to appreciate the flexible accommodation and potential offered. Ceramic tiled floor, double glazed window to rear and side elevation, double glazed French door to conservatory, French double doors to side patio area and two radiators. Tiled floor, radiator, double glazed windows to rear aspect overlooking neighbouring farmland, wall lights, double glazed French door to rear garden. Countryside views facing the south to enjoy evening sunsets. Wood flooring, two radiators, double glazed French doors opening to rear garden, double glazed window to side elevation. Feature stone fire place, Delabole slate hearth with wooden mantle above and Jotel inset wood burning stove. Countryside views over to Caradon Hill. Ceramic tiled floor, central stone fire place with granite mantle and Delabole slate hearth with inset wood burner. Two radiators, double glazed window to rear elevation, double glazed French doors to conservatory. Tiled floor, radiator, double glazed window to front elevation, telephone point, double cupboard with fitted shelving. Ceramic tiled floor, double glazed window to front elevation, appliance space and fitted work top surface. Ceramic tiled floor, double glazed window to front and side elevations, telephone point, double cupboard with fitted shelving. Double glazed door and side window panel that opens onto an enclosed garden, wood floor and radiator. Walk in shower, low level WC and pedestal wash hand basin. Fitted wall heated towel rail. Ceramic tiled floor, double glazed window to side elevation, low level WC, pedestal wash hand basin and radiator. Worcester oil fired central heating boiler fitted new in November 2017, ceramic tiled floor, base unit with roll top work surface over and inset stainless steel sink and drainer. Space for washing machine and tumble dryer, fitted double linen cupboard, double glazed windows to side elevation. Galleried landing. Staircase from ground floor and 2nd staircase rising to the apartment suite. Radiator, double glazed window to front elevation, walk in linen cupboard with shelving, double glazed Velux, doors off to all other rooms. Comprising pedestal wash hand basin, low level WC, separate tiled shower cubicle with glass screen. Part tiled walls and window to the side elevation. Radiator. Part tiled walls, tiled shower cubicle, wash hand basin and low level WC. Radiator. Door opens onto a lobby area giving access to the master suite. The bedroom has French doors opening inwards onto a Juliet balcony with countryside views. Wooden flooring, window to side elevation over looking the gardens and paddock, door to en-suite and door to dressing room with fitted wardrobes. Radiator. Fitted wardrobes, radiator and window to the front elevation. Part tiled walls, low level WC, bidet, wash hand basin, double sized shower cubicle with tiled surround, wooden flooring and window to rear. Double glazed window to front elevation, wood floor, radiator, and one double wardrobes. Double glazed window to rear elevation, wood floor, radiator, and two double wardrobes. Double glazed window to side elevation, radiator, wooden floor, wardrobe. White suite comprising, bidet, pedestal wash hand basin, low level WC, panel bath with tiled surround and shower unit running off the mixer tap. Half ceramic tiled walls, double glazed window to front elevation and radiator. Double glazed Velux window to the rear elevation, door opening, with side window panel, which requires installation of outside stairs . Access to the kitchen, bathroom and bedroom. Double bedroom with Velux window to the rear elevation. Radiator. Walk in wardrobe. Modern fitted kitchen with roll top work surfaces and an inset sink, integrated oven and hob. Space for fridge. Ceramic tiled floor and walls with suite comprising panelled bath with shower attachment, pedestal wash hand basin, low level WC and heated towel rail. Landscaped front garden with mature trees and shrubs. The rear garden is mainly laid to lawn and backs on to neighbouring farm land and provides stunning countryside views. From the rear garden you can gain access to the additional land/paddock and side patio area. To the front of the property there is driveway parking and access to the double garage. Steps lead down to a patio area and the front door. Private walled courtyard which can be access by either a front gate, breakfast room or kitchen. Raised beds created by sleepers this barbecue/patio area provides a sheltered alfresco dining area. Accessed from the rear garden and the garage, the land is enclosed by trees, hedging and fencing. Parking in front of the garage for several cars.